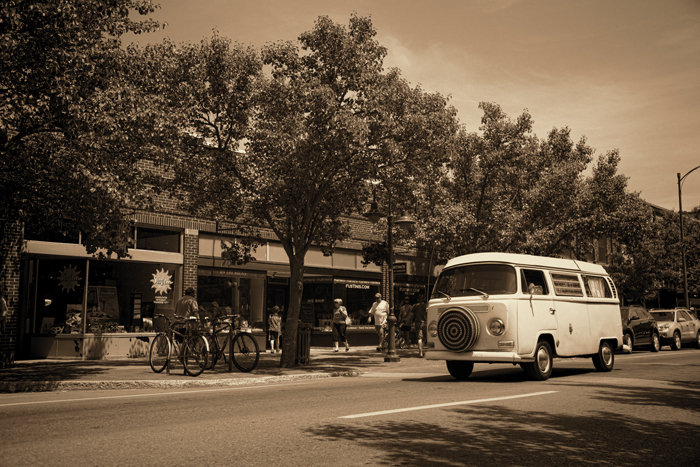 Retro photograph of Traverse City on Front Street in the downtown district. 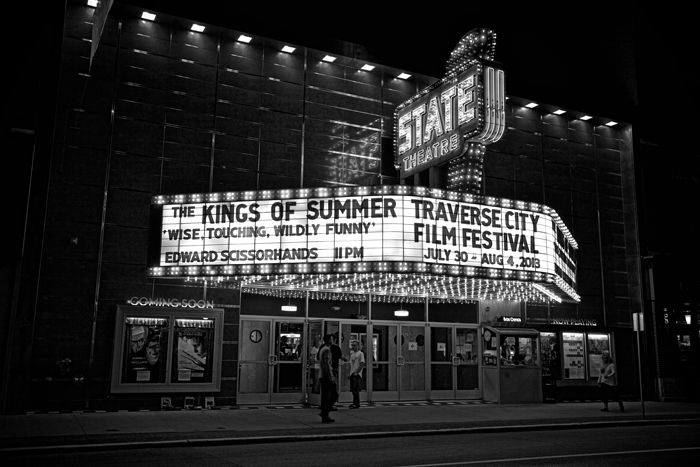 The Traverse City Film Festival at the State Theater on Front Street in downtown Traverse City, Michigan. The historic State Theater has been home to the Traverse City Film Festival since being completely restored. 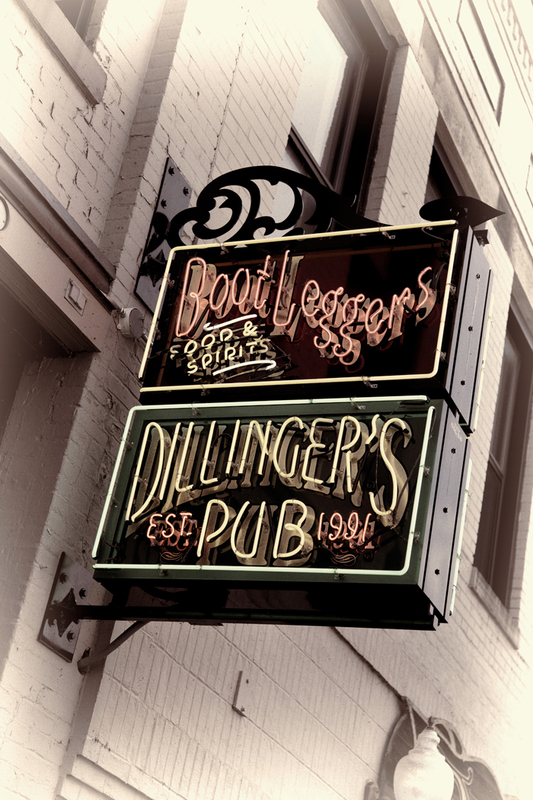 Boot Leggers and Dillinger’s Pub in Traverse City, Michigan located just south of Front Street. Fifth Third Bank in downtown Traverse City, Michigan in the Front Street District. 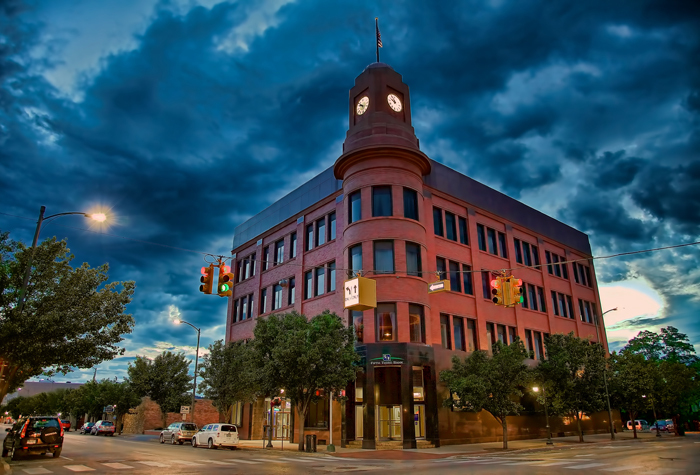 This Fifth Third branch is one of the western most buildings in downtown Traverse City and is walking distance from all of the shops and stores along Front Street as well blocks away from Grand Traverse Bay. 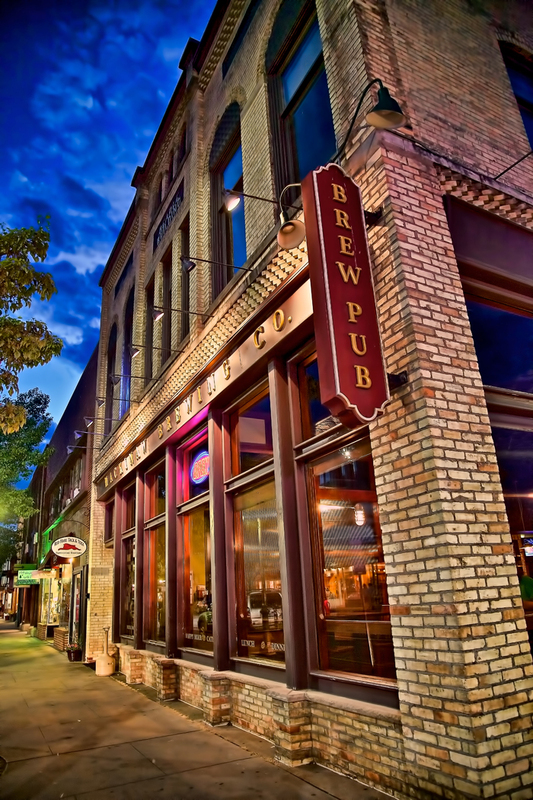 Cherry Republic is located in Traverse City, Michigan in the downtown Front Street District. 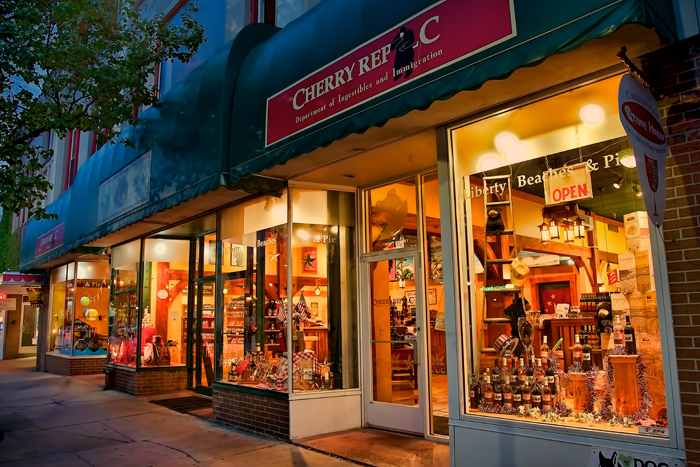 Cherry Republic is one of the most popular stores along Front Street and is known for its many cherry flavored items including cherry salsa, cherry BBQ sauce, cherry wine, cherry jelly, cherry candies and much more. Poppycock’s in Traverse City, Michigan. 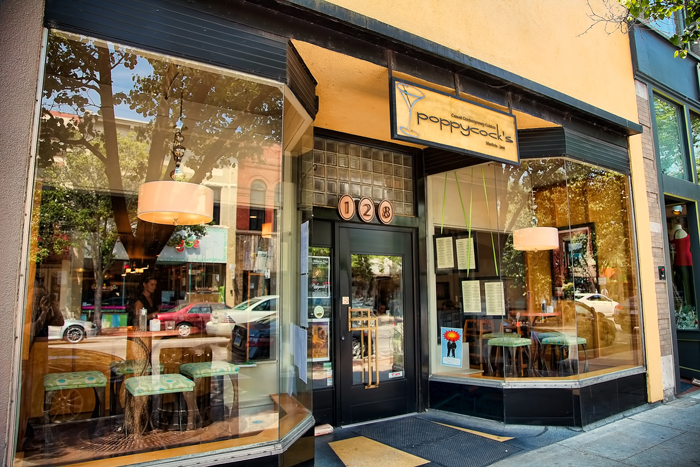 Poppycock’s in located in downtown Traverse City in the Front Street district and is a popular location for both local diners and tourists. 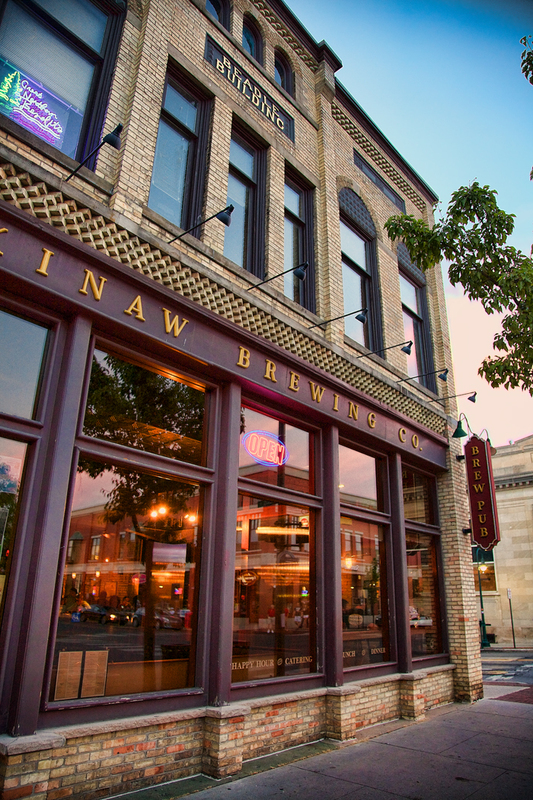 Mackinaw Brewing Company in downtown Traverse City, Michigan in the Front Street District. 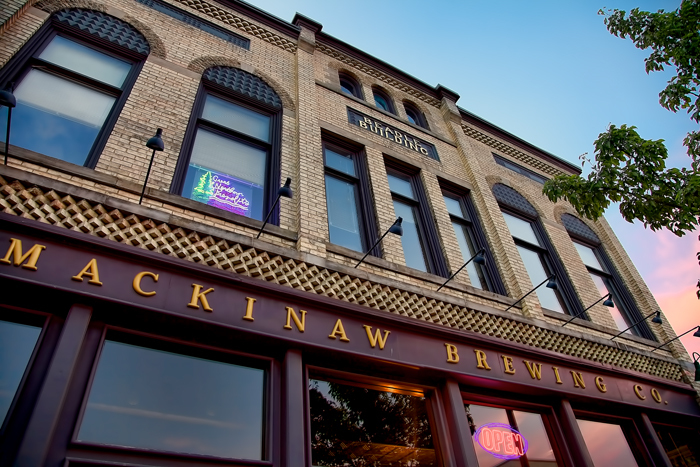 The Mackinaw Brewing Company, located in the historic Beadle Building, has several homemade beers as well as plenty of other local and regional beers to choose from. 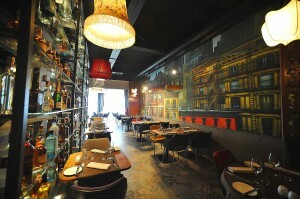 Try the stuffed mushrooms! American Spoon in downtown Traverse City. 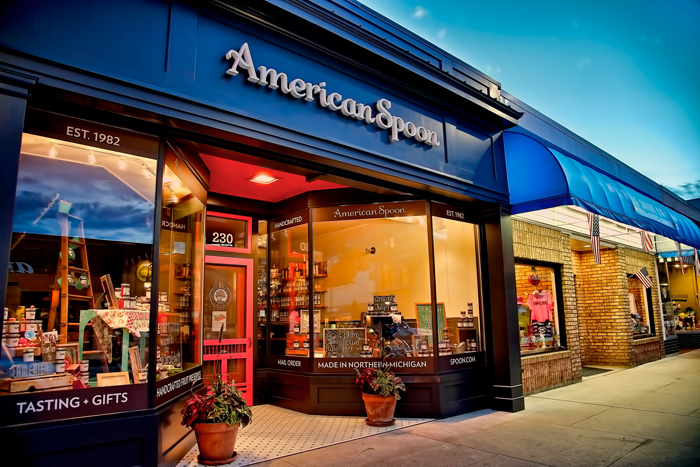 American Spoon sells a variety of different sauces, salsa, barbecue sauces and other edibles with cherry being the predominant ingredient in many of the Traverse City stores products. 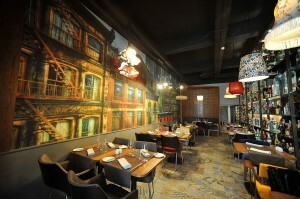 American Spoon is located in the downtown district along Front Street in the heart of Traverse City. An old, 1960s Chevy low rider that has been completely pimped out. 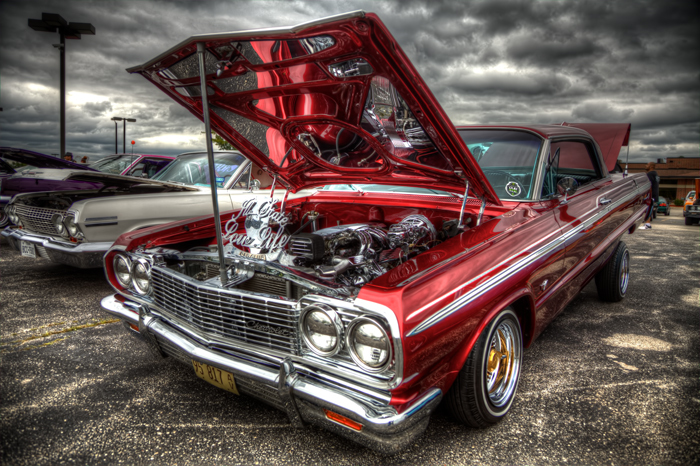 This HDR photo accentuates the red and the chrome accents. This car includes hydraulics in the rear which are lifting the rear end up in the photograph. Pierogi Fest in downtown Whiting, Indiana. Pierogi Fest takes place at the end of July every year on 119th Street in downtown Whiting. This annual festival celebrates Polish heritage and pays tribute to the popular Polish food, the pierogi. There are plenty of food vendors, crafts, bands, activities for kids, a beer garden and tons more. This event is a three-day event, typically taking place on the last weekend in July. Nearly 200,000 people visit this three-day event annually. To license or print this photo, please click on the button below. 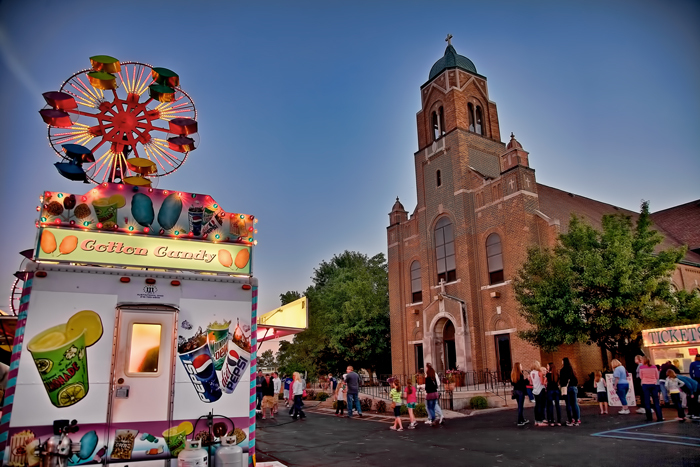 The St. John the Evangelist Parish festival in Saint John, Indiana. This annual festival takes place on the church grounds at the southwest corner of 93rd Avenue and US 41 in downtown St. John, Indiana. This popular local festival takes place in the summer, typically around the end of July, and is open to the public from Thursday through Sunday of the festival weekend. 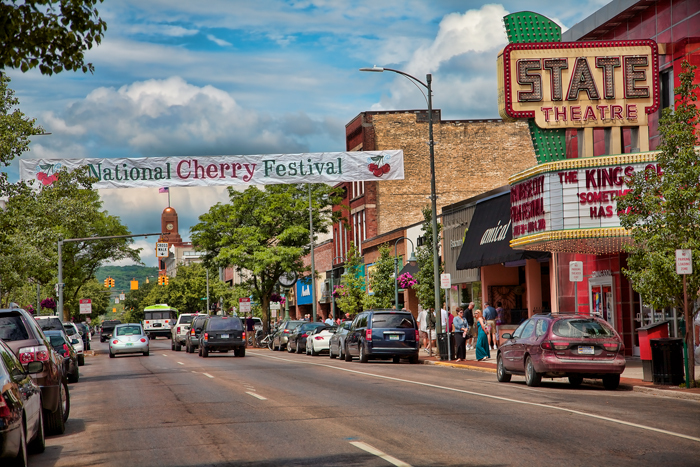 Every year, people from across the country travel to Traverse City, Michigan to attend the National Cherry Festival. Traverse City, known as the “Cherry Capitol of the World”, has held this tradition which features many local venders, arts and crafts, carnival rides, cherry pancake breakfast, cherry pit spitting contests, and many more events. This event takes place for just over a week every summer, typically in the end of June into the beginning of July. Traverse City Attorneys Dingeman, Dancer & Christopherson and their law office in downtown Traverse City along the Boardman River. One of my photos taken from New York City has been commercially licensed and was made into a 30 foot long canvas and the centerpiece or a restaurant in Casablanca, Morocco! This photo, which was taken in the TriBeCa neighborhood (click to see my Tribeca photo) of New York City, was taken in May 2011 while on an east coast road trip. 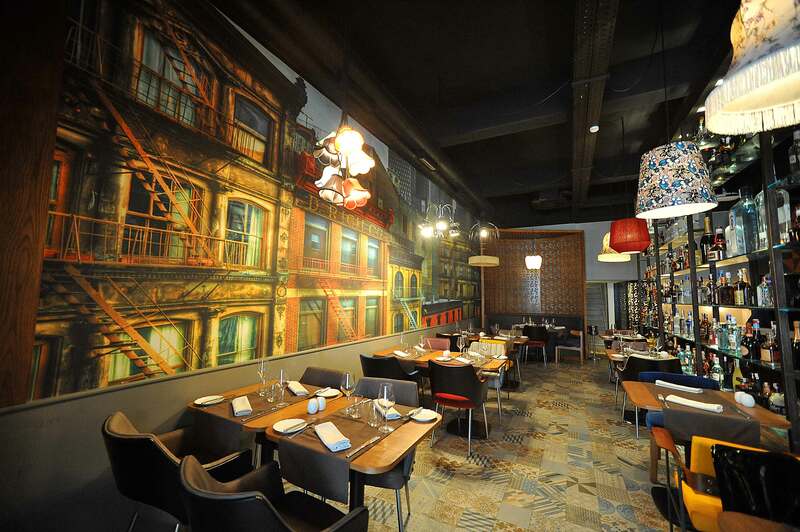 The restaurant, fittingly named Tribeca, is a New York themed restaurant and has thus far received positive reviews on TripAdvisor and other review sites. The Duncan L. Clinch Marina in downtown Traverse City, Michigan during the National Cherry Festival in June 2013. 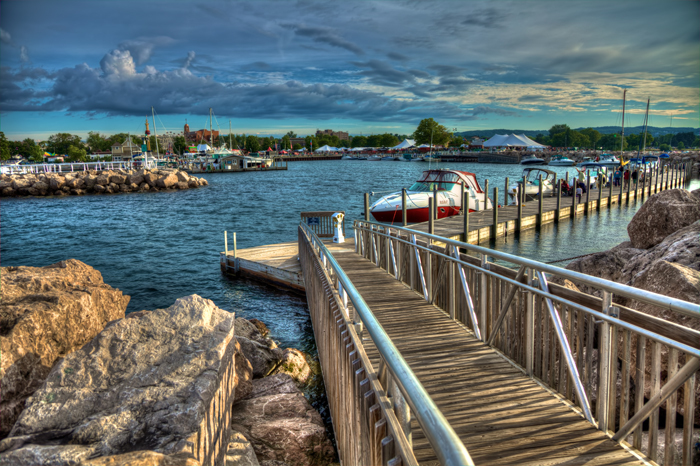 Traverse City is a popular summer resort town and is known as the ‘Cherry Capitol of the World’. 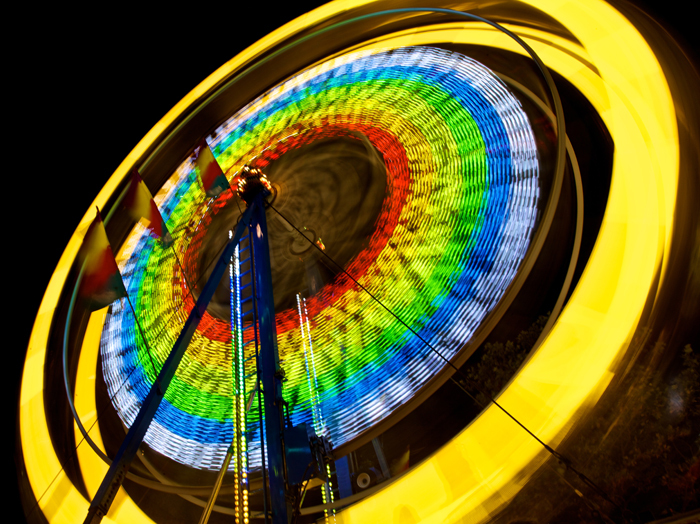 A colorful, spinning ferris wheel makes for a great open shutter photo. This photo was taken with an open shutter for about three seconds. Historic Fish Town in Leland, Michigan on the Leelanau Peninsula.